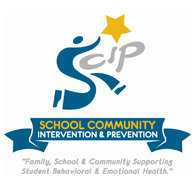 In partnership with School, Community, Intervention and Prevention (SCIP), Norris Public Schools has been awarded funds through Region V Systems to expand their Social Emotional Learning Curriculum by incorporating the utilization of the Devereux Student Strengths Assessment (DESSA) throughout grades 1-5. This brief screening measures eight competency areas: self-awareness, self-management, social-awareness, relationship skills, personal responsibility, decision making, goal-directed behavior and optimistic thinking. The DESSA was created with a specific focus on protective factors and resilience and provides a foundation to promote the social-emotional well-being of all students as well as more targeted and intensive interventions with youth who may be more at risk for adverse behavioral health outcomes. Incorporating the DESSA throughout the early grades of 1-5 can provide opportunities for early intervention in the hopes of enhancing social emotional skills and protective factors before students transition into middle school. Norris Elementary piloted the DESSA with second grade students during the 2017-18 school year as a way to make data informed decisions regarding students selected for small group interventions in the area of social emotional skills with the school counselor. Norris Elementary and Intermediate schools are excited about the opportunity to expand the use of the DESSA with more grades in order to reach more students and provide additional supports.